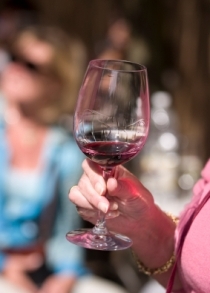 You don't have to be a wine connoisseur to enjoy the annual Naperville Wine Festival held at Naperville's CityGate Centre. Both wine experts and wine newbies alike can sample over 270 wines and attend different seminars and demonstrations covering topics from the basics of wine-tasting to the art of food and wine pairings. This upscale, yet relaxed fest also offers food from some of the area’s finest restaurants and live music. Tickets are $27 in advance and include 10 tastings and a souvenir wine glass. Designated drivers are admitted for $10 and receive two nonalcoholic drinks. A portion of the proceeds are donated to the Naperville Area Humane Society.